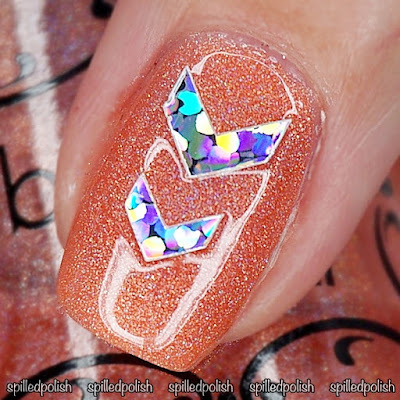 It's day 2 of The 31 Day Nail Art Challenge and today's challenge is Orange Nails! I painted my ring finger with three thin coats of Beyond the Nail – Frosty. 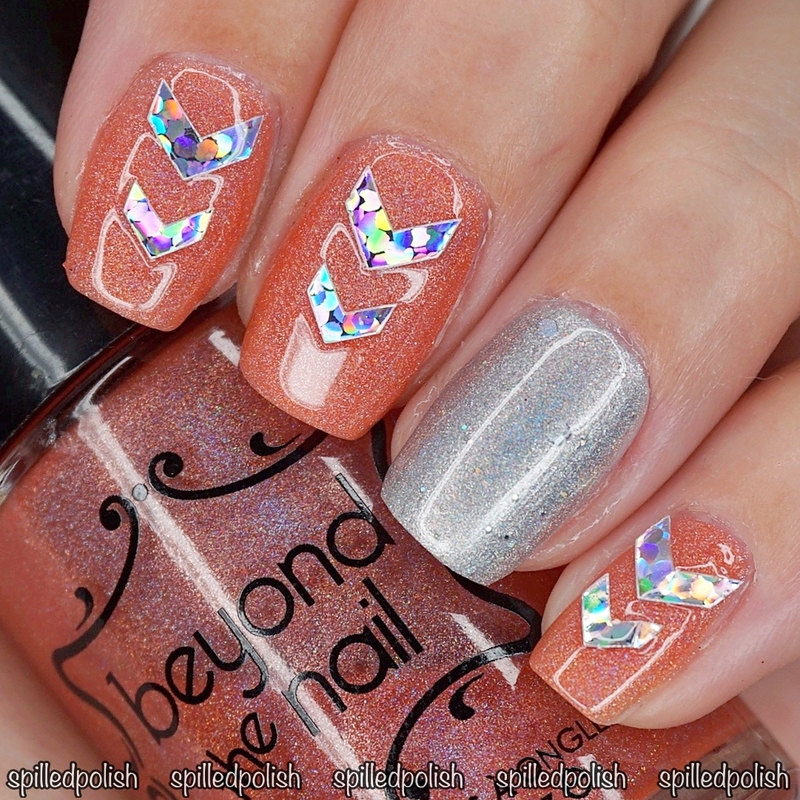 On my other nails, I painted them with three thin coats of Beyond the Nail – Solar Flare. 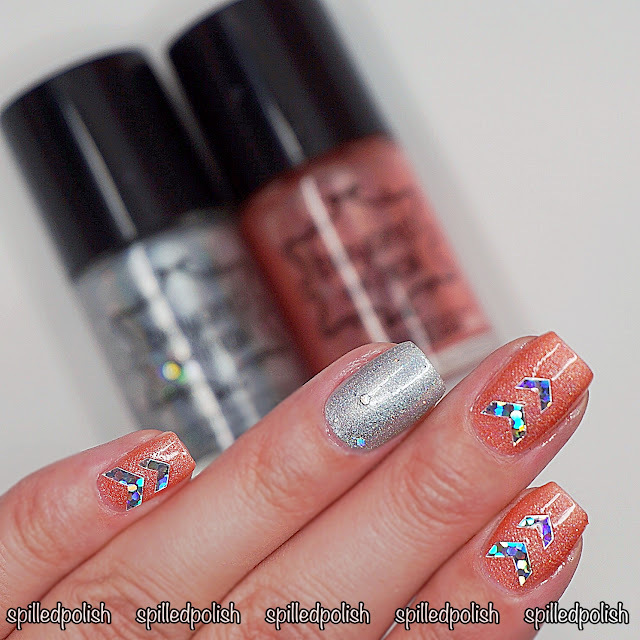 When everything had dried, I placed on some Holographic Half Chevron Nail Decals to my nails. I topped each nail off with one coat of PRO-FX – Quick Dry Topcoat.